I realized after scanning these for my website that I hadn’t posted these before. 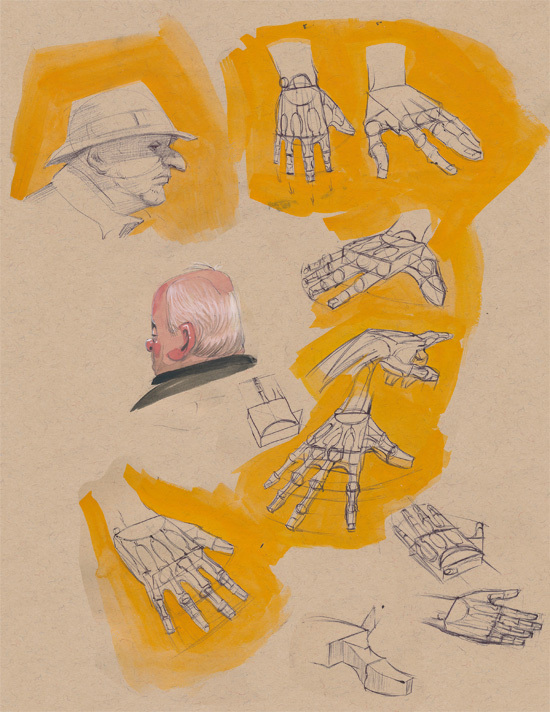 On the left-hand page I had a couple hand studies from Hogarth. I really like the grumpy girl in the lower left of the second page and most people seem to really like the top drawing of the second page. If there is one thing I can recommend to any budding artist: keep a sketchbook. Draw every day. Use them for everything. I like to treat every new sketchbook slightly differently. I like to experiment with them a lot, so I play with new mediums, new styles and I do a lot of studies in them. 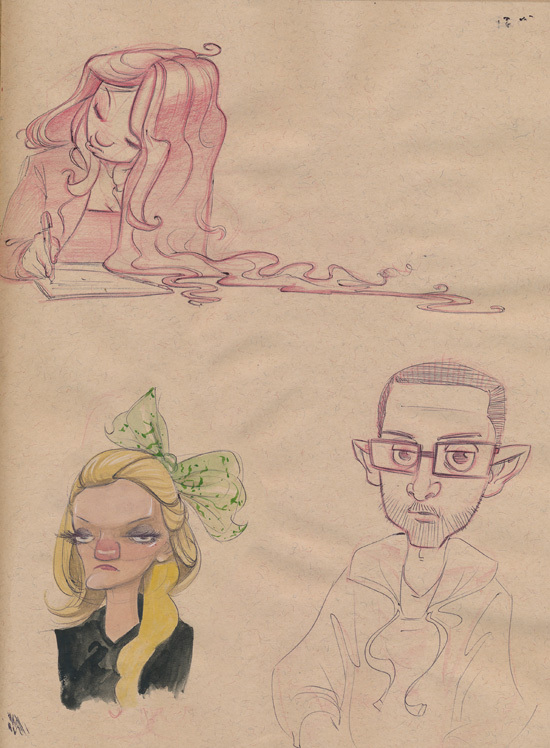 Keep a sketchbook and let it be a place to play!